This Joint Comfort tea has unique blend of botanicals. 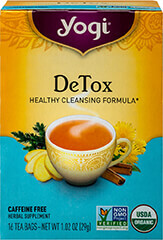 Naturally Decaffeinated Organic Green Tea joins Organic Turmeric Root, Yucca Root, Cat's Claw Root, and Devils Claw Root. 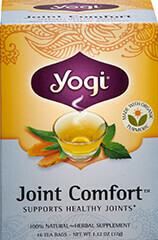 Enjoy the pleasant blend anytime during the day or when you need a little Joint Comfort. Available in (500 mg) Rapid Release Capsules. This Herbal Joint Soother® features Boswellia Serrata, an herb that helps support joint health and function. ** It also contains Bromelain, an enzyme from pineapple, along with Turmeric and White Willow Extract. Includes 120 Capsules. Devil's Claw (Harpagophytum procumbens) is a traditional African medicine. Our Devil's Claw is carefully tested and produced to superior quality standards.